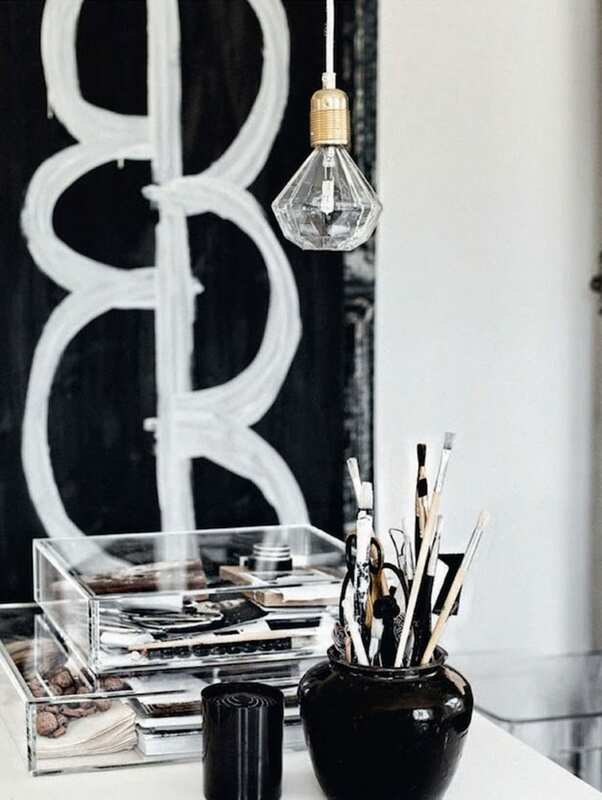 This is the home of talented Swedish interior stylist Jenny Hjalmarson Boldsen. 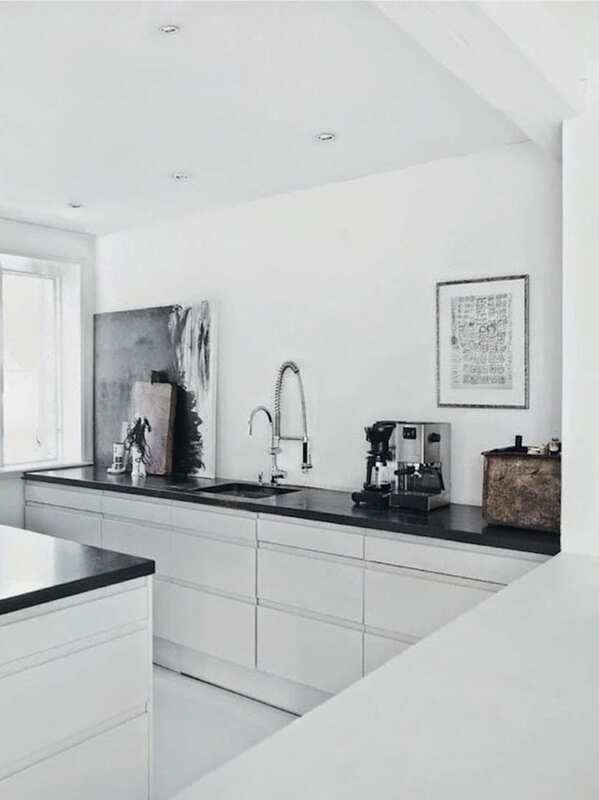 Set in Råå, a small fishing village south of Helsingborg, the capitains house and barn were originally built in 1847 but have now been rebuilt from the ground up and combined to form a spacious home with high ceilings. 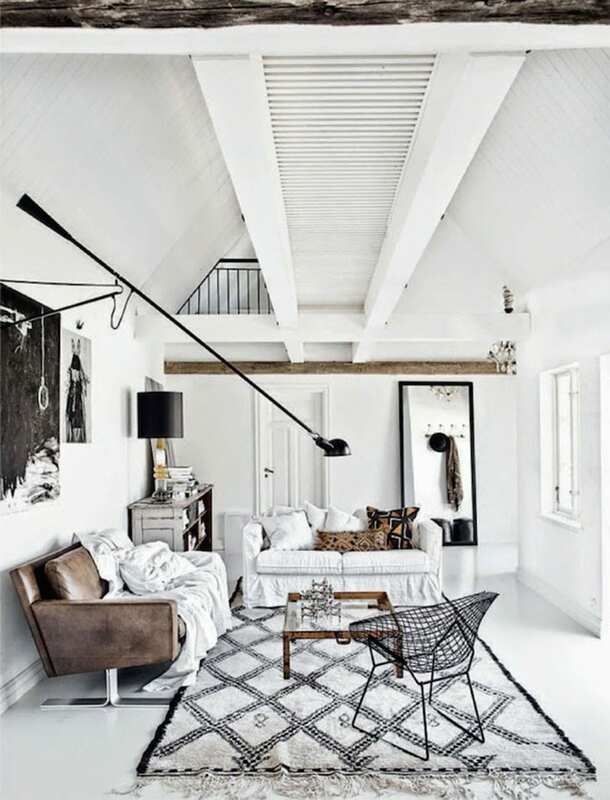 Boldsen’s mostly monochromatic, eclectic style mixes traditional, contemporary and industrial items. 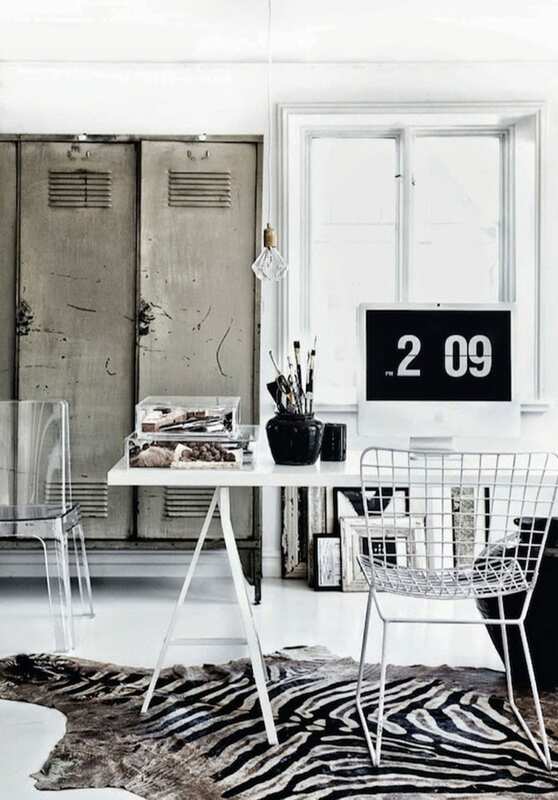 Perfect flea market finds sit alongside modern Olsson & Jensen pieces. 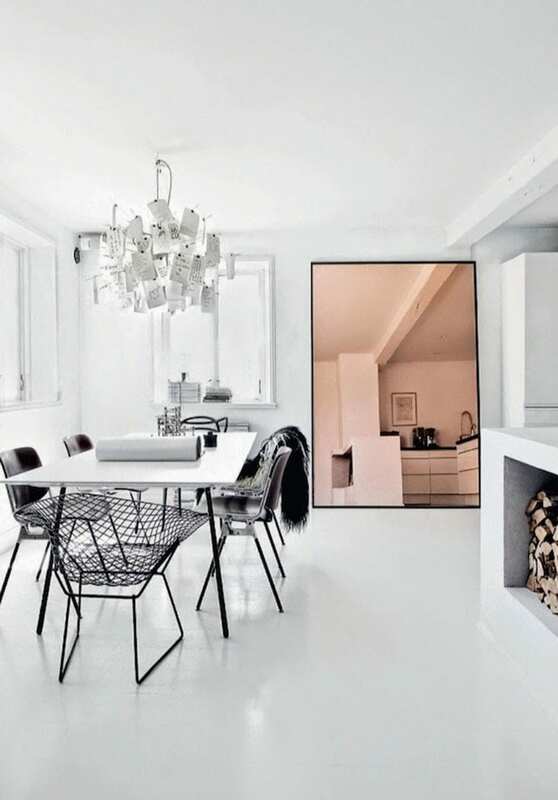 A copper toned mirror is the focal point of an otherwise colour-free dining room. 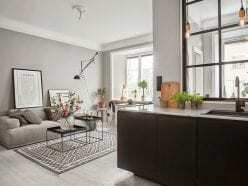 In her study, perspex boxes sit on a modern Ikea trestle table which in turn sits on top of a vintage zebra skin rug; old tarnished lockers are used for storage. 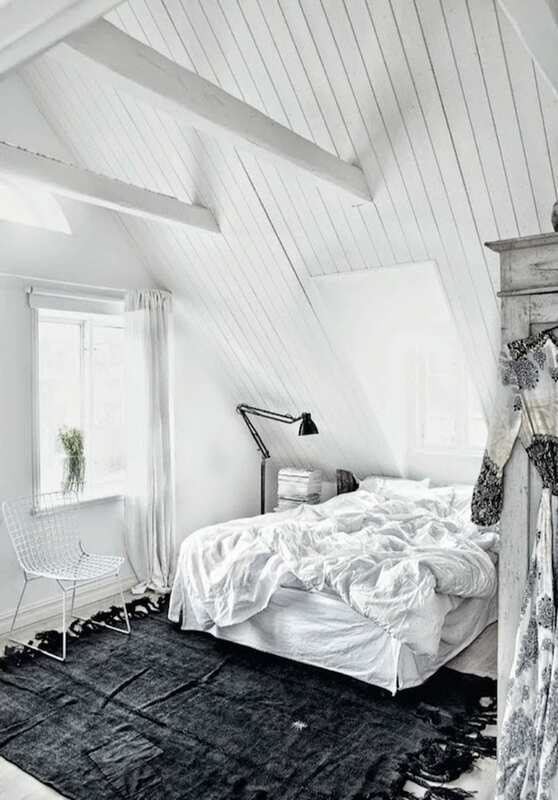 She’s managed to combine so many materials and textures with such sensitivity to create a house that’s quirky and cool. I’m feeling very inspired, think I might have to return to Kempton Antiques Market soon to pick up a few more pieces for my home, just need the mornings to brighten up and warm up.